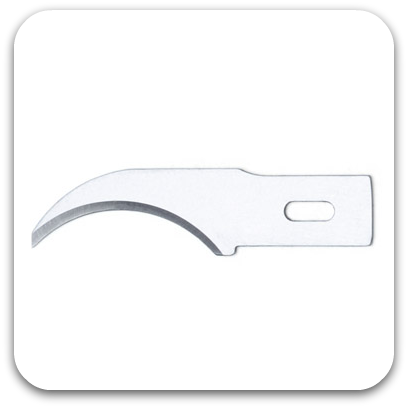 The X-Acto #28 Concave Carving Blade is a heavy duty blade designed for whittling, carving and the initial shaping of a variety of different materials. Great for hobbyist and artists alike, this versatile carving blade makes it easy to move from rougher shaping cuts to more intricate cuts without needing to change knives. The blade features a unique curve which makes trimming around tight spaces easy.